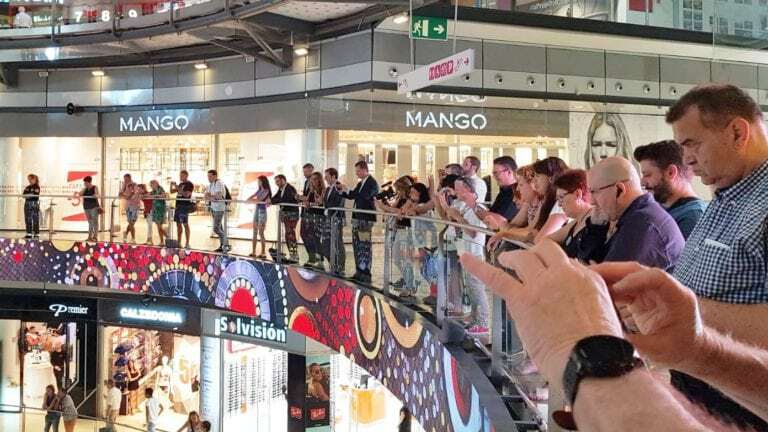 MERLIN Properties, the company owning the Arenas shopping center in Barcelona, has relied on TRISON to digitally transform the emblematic department store and reinforce its strategy to be linked with the city and a consumer more connected with the technological word. 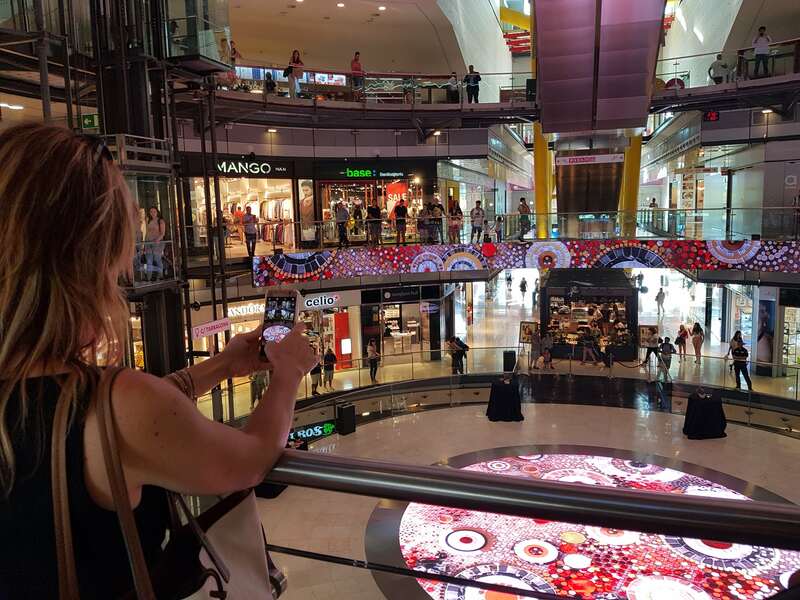 The challenge was to turn a visit to the shopping center into an unforgettable experience thanks to technology. This not being enough, we had to add the complexity of doing the installation in record time working in a building with restrictions due to its architectural interest. 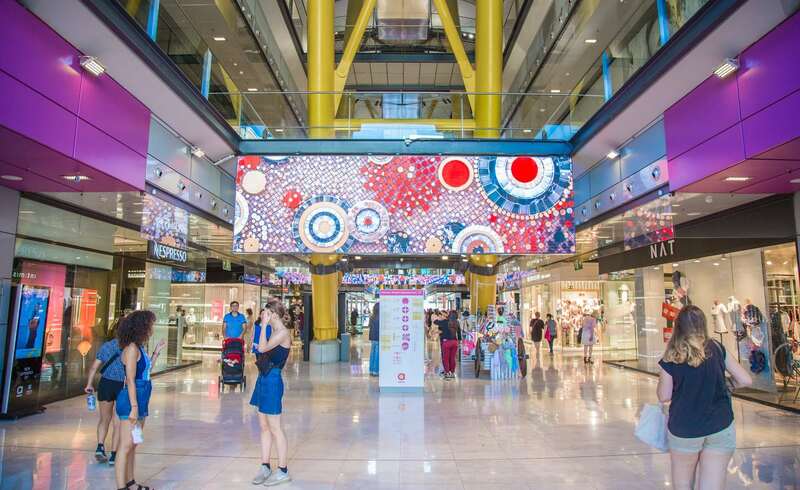 The solution TRISON proposed to Merlin Properties to turn the visit to the shopping center into an unforgettable experience was integrating the space with visual technology though 7 big screens we installed at the shopping center strategic points. 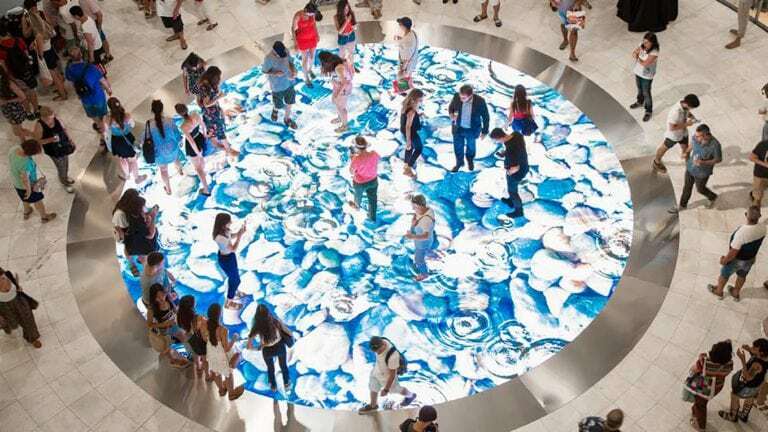 Among them, stands out a singular and interactive 64-square-metre circular screen placed on the floor, the biggest in Spain, situated in the old bullring which is complemented with another 62-meter long perimeter screen suspended in the perimeter of the bullring terrace. Together, they offer the visitor an unforgettable experience where architecture, technology and contents acquire a new dimension. Although mounting these screens was extremely complex, due to the listed building restrictions, the project was completed in record time. It took just 3 weeks, working at night, to assembly 180 square metres of LED screens. To commemorate this new era an artistic display in the form of mosaics has been created. 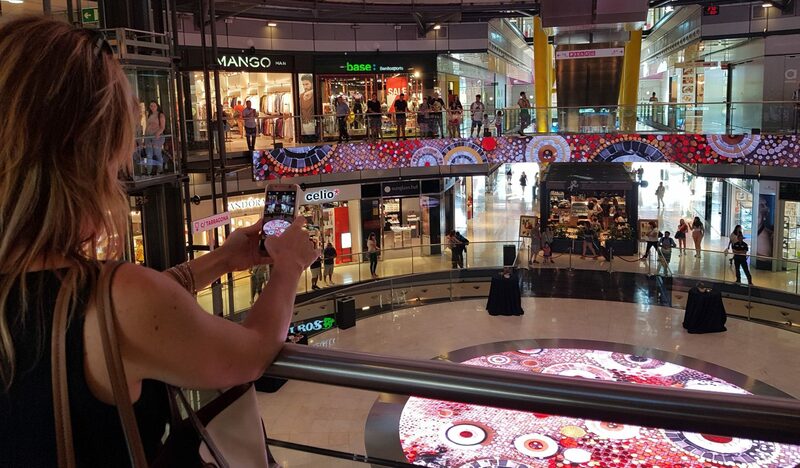 Mosaic art, one of the oldest forms of art in the world, has been reinterpreted at Las Arenas through a unique audio-visual piece, created and designed by the prestigious design studio ADMEMORI to achieve an immersive experience. The experience is completed thanks to the interactivity of the floor screen which offers several touch games with which the visitors coming to Las Arenas have a good time. 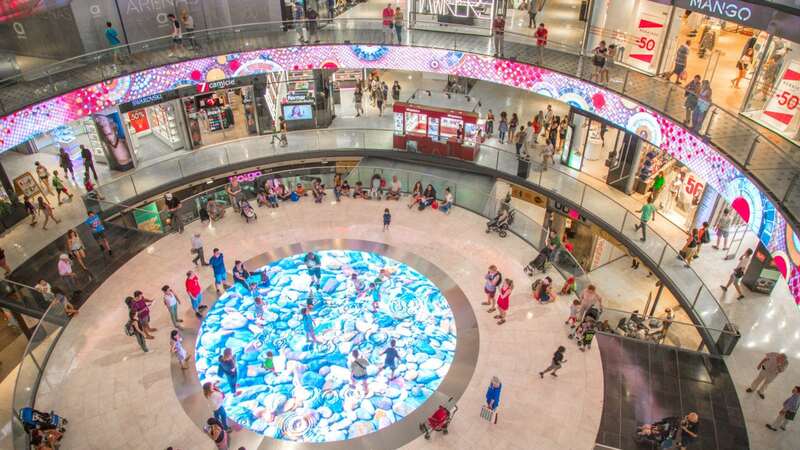 The Arenas transformation means the starting point of a new era for the department store, in which the more than 10 million visitors coming to the shopping center per year will enjoy an immersive 360 degrees experience. This is an era adapted to the exigencies of a more connected consumer, who makes less distinction between the online and offline world day by day and which understands technology as a fundamental aspect of his experience.